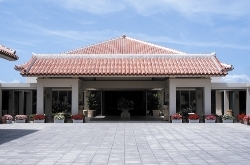 To discuss the enhancement of the science and technology cooperation to solve the global issues, etc, prior to G8 Hokkaido Toyako Summit, the G8 Science and Technology Ministers' Meeting will be held on June 15th, 2008 in Okinawa Bankoku Shinryokan. We will discuss the science and technology for achieving a low carbon society, especially focusing on the energy-related technology. Taking some technologies including biofuel as examples, the modality of R&D and their socioeconomic impacts will be discussed. We will discuss promotion of capacity building based on the needs of developing countries. We will also consider the appropriate modality of science and technology cooperation and the mechanism to identify their needs, mainly in the fields of biodiversity, sustainable supply of water, food and energy, and infectious disease. We will discuss cooperation on large-scale research activities and facilities, including international mobility of human resource. 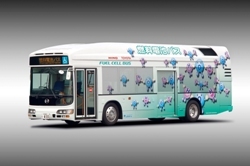 Low-emission fuel cell hybrid bus will be operate. We use a fuel cell hybrid bus for transportation Ministers/delegation heads to BANKOKU SHINRYOKAN, as a environment-friendly means of transportation. A workshop on environment and energy issues will be held. We organize whole G8 Science and Technology Ministers' Meeting in a environmentally sound manner, for instance energy-saving. with the attendees of the G8 Science and Technology Ministers' Meeting and science experiments. 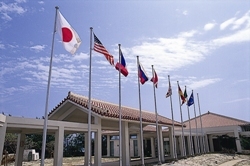 A workshop on environment and energy issues will take place as part of satellite activities for the G8 science and technology ministers' meeting in Okinawa. the significance of science and technology as well as regional and international cooperation. Related Event 3: We Build the Future of the Earth "Saikoro chikyuujyuku 2008, Science & Ecology Ushering Us into the Future"
and the Okinawa Institution of Science and Technology. and obtain ID cards for media personnel in charge of coverage. Press registration was closed on 30th May.